Of course we all mean to be nice, but small indiscretions throughout the year can all add up to a whole lot of naughty, which in turn can lead to an anxious wait for Christmas Day morning. Following a ground-breaking agreement between NATS and the North Pole, we can offer UK residents unprecedented access to Santa’s Elf Traffic Control system. By simply entering your name, location and most wished for present, the system will search through billions of entries to determine whether you’ve made onto the all-important Nice List. Then, providing your details check out, you’ll see a simulation of Santa’s actual flight plan for your location on Christmas Eve. With the weight of uncertainty lifted, you’re then free to share the happy results with friends and family on social media. Of course you could also use the system to search for the children in your life, but we’ll leave that to you. The agreement with Santa follows last year’s insider documentary following the meticulous work that goes into preparing his Christmas Eve flight plan and don’t forget you can also try your hand at our game, Santair. 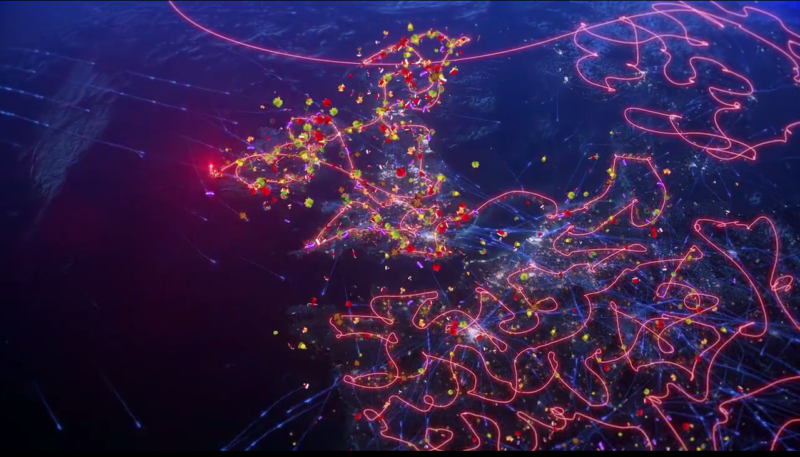 Do you have the skill to pilot the sleigh through the UK’s busy and congested airspace? Have a go and let us know your top score, but beware, it’s addictive! 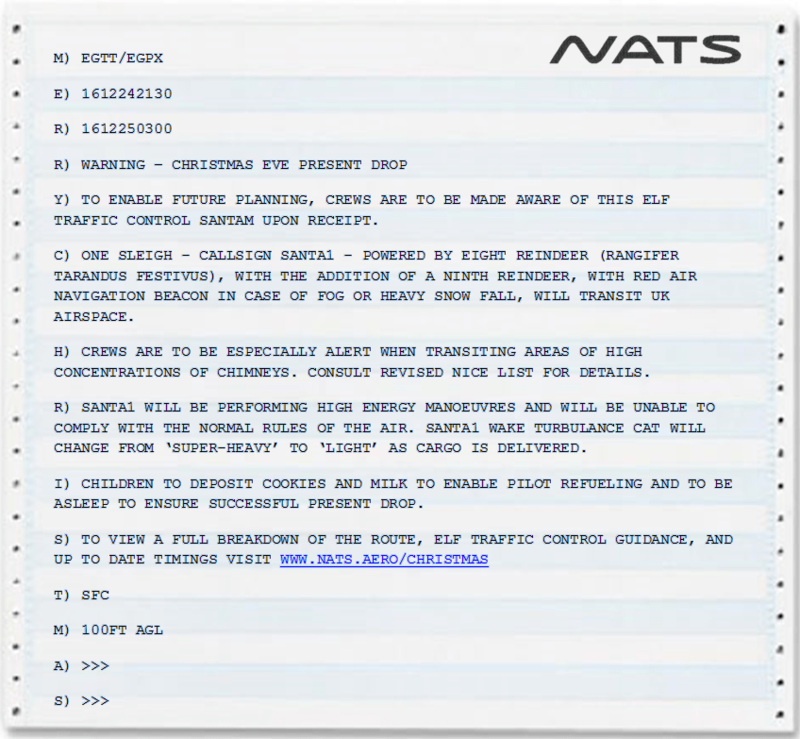 And finally, as usual airspace users flying in the UK on Christmas Eve should be aware of the below Santa NOTAM, or SANTAM. Wishing all our readers a very happy and safe Christmas, from everyone at NATS.